I started my adventure from Traverse City and made my way north driving the beautiful M-22 highway for about an hour ending at the area known as Michigan’s “Little Finger." This area is home to the Leelanau State Park and one of Michigan’s oldest lighthouses. Upon arrival, I learned that the park is split up into two main regions. One part is where the Grand Traverse Lighthouse and campground are, and the other is where most of the nature trails begin. I also learned before you do anything, you’ll need to obtain a recreation passport at the office directly south of the main building. You’ll need this to visit the park, whether you’re hiking all day or just taking a walk around the lighthouse. 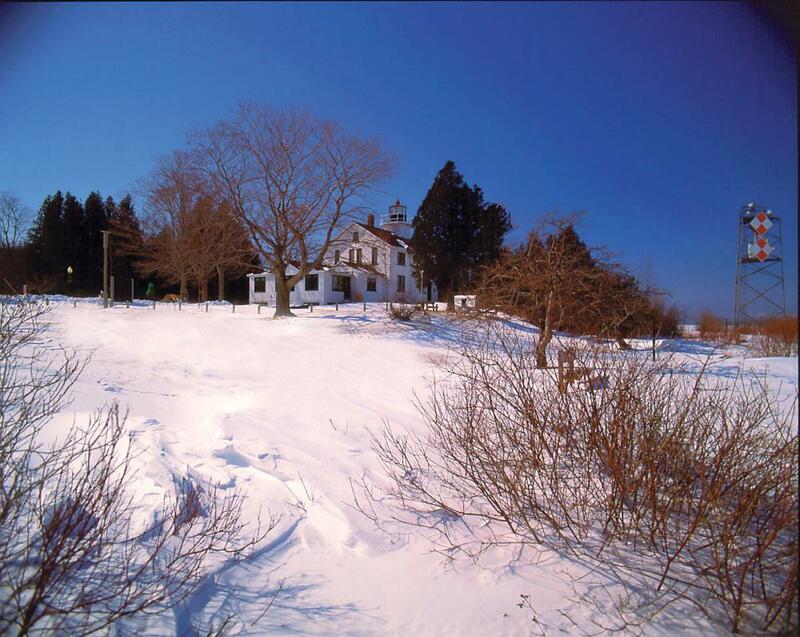 Did you know the Grand Traverse Lighthouse is over 165 years old? During my visit in late January, I had plenty of time to walk around the lighthouse and learn about its history. (I couldn&apos;t actually go into the tower or gift shop because they&apos;re only open May-November.) This didn&apos;t matter because the outside was equally interesting. Here are a few fun facts I learned about this historic area. 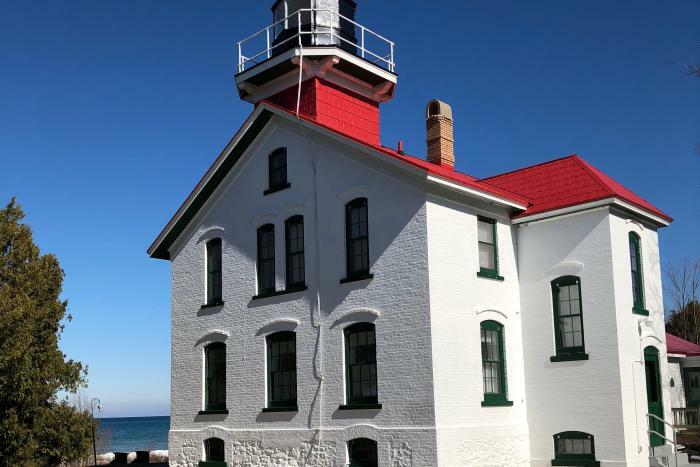 The Grand Traverse Lighthouse is on the State and National Historic Register. The lighthouse and grounds have been restored to a museum that features displays about the life of a lighthouse keeper, circa 1920-1930. The present lighthouse building was constructed in 1858. After learning about the history, I wanted to see more of the area&apos;s natural attractions inside the Leelanau State Park. The park is home to nearly 10 miles of trails ranging from easy to moderately difficult. The most popular is the Lake Michigan Trail. The Cathead Bay Trail in the Leelanau State Park also offers outdoor recreation enthusiasts a whopping 1,350 acres to hike! These trails are groomed year-round (a bonus for visiting during the spring) and include scenic overlooks of Lake Michigan. 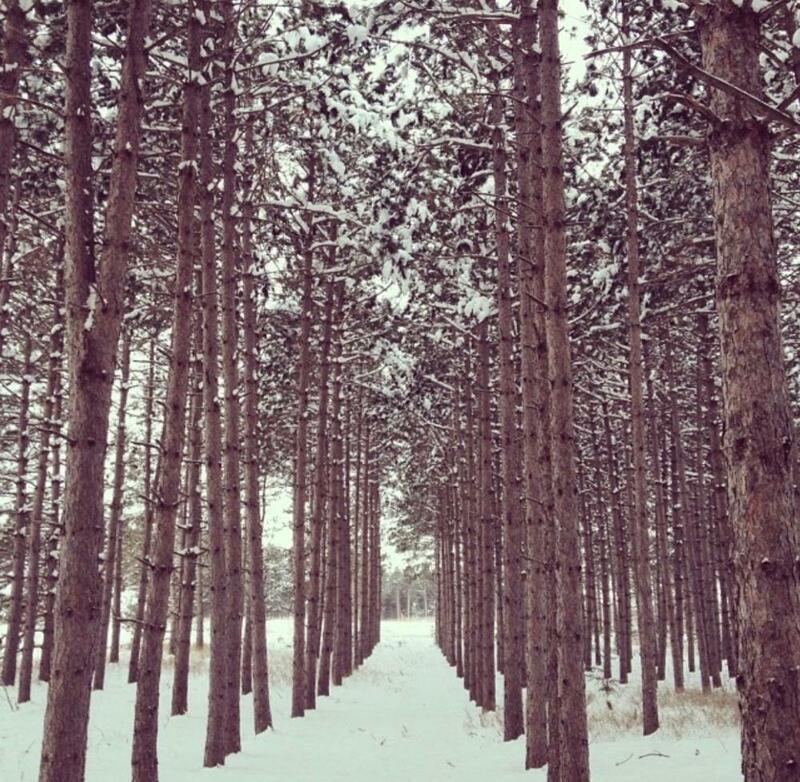 Other routes take you to dune walks and trails through red pines, ash and birch trees. As I explored the trails I found myself reluctant to leave this little slice of heaven, but hunger was creeping in. The promise of a new landscape in the spring reminded me that I would once again return to this beautiful place in Leelanau County. Not wanting to let hunger get the best of me, I made my way to the adorable port town of Northport. A meal at the Tribune Ice-Cream & Eatery filled my belly. Sandwich options, salads and burgers are on their menu, along with breakfast if you arrive before noon. (Otherwise, be sure to get there before 3 pm.) If a later afternoon visit brings you into the village, The Garage or Tucker’s are also good options for a meal. As you head back to Traverse City, be sure to save time for a stop at one or two of the wineries. It is really one of the best ways to end an afternoon on the Leelanau Peninsula. Sam Gutowski is a resident of Traverse City and loves exploring all of northern Michigan. She is a tour guide and the Social Media Marketing Manager for Traverse City Wine and Beer Tours. In her free time, she likes to explore what the rest of the world has to offer while posting travel tips on her travel blog Daisy Rae Travel. You can also keep up with her on Instagram!